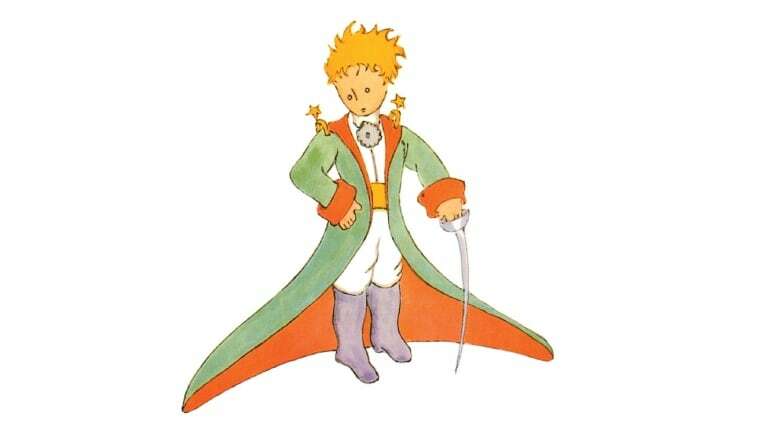 Since its publication 75 years ago, The Little Prince has sold an astonishing 200 million copies. Apart from religious texts, it's said to be the most translated book ever, appearing in some 300 languages. 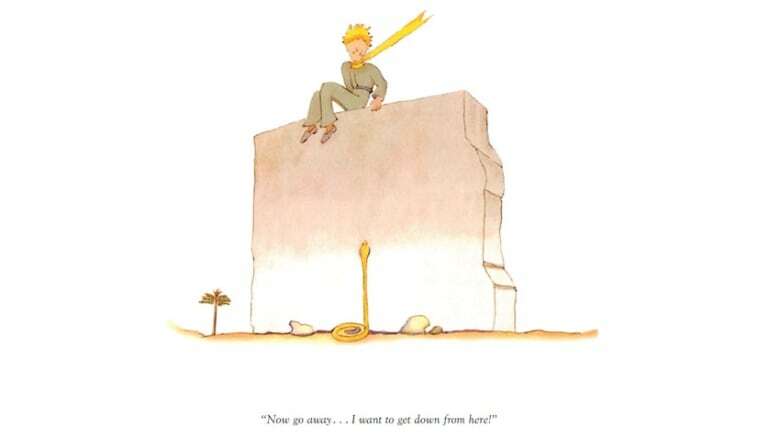 An illustrated children's story, The Little Prince is also admired — by children and adults alike — for its sophisticated ruminations on life, love, loss and friendship. Written in 1943 by French writer and aviator Antoine de Saint-Exupéry, The Little Prince was first published in the United States. It was banned in France by the Vichy government and Saint-Exupéry didn't live to see the book's publication in his own country after the war. His plane went down over the Mediterranean on a reconnaissance mission in 1944. Stacy Schiff is a Pulitzer Prize-winning biographer whose subjects include Vera Nabokov, Cleopatra and Benjamin Franklin. Her first biography, published in 1994, was about the life of Saint-Exupéry. Mark Osborne is the director of the acclaimed 2015 animated feature film The Little Prince, featuring Jeff Bridges, Rachel McAdams, Marion Cotillard, James Franco, Paul Giamatti and Ricky Gervais. Éric Dupont is a Québécois novelist whose most recent book in English, Songs for the Cold of Heart, was a finalist for the 2018 Scotiabank Giller Prize. 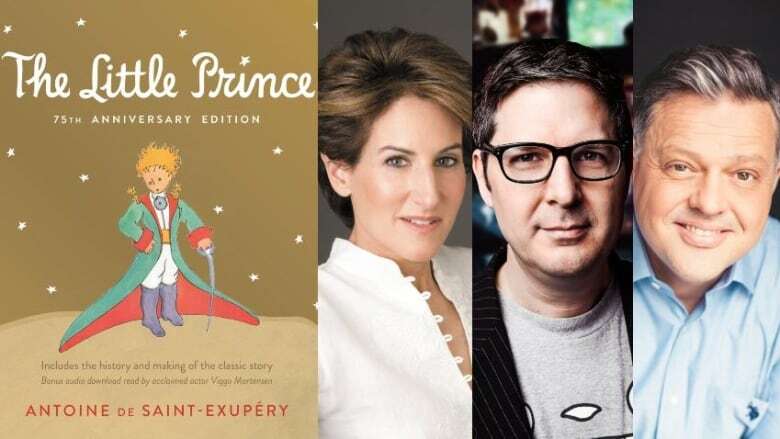 They spoke to Eleanor Wachtel about the universal appeal of The Little Prince and the deep impact the book has had on their own lives. "I first read The Little Prince shortly after I learned how to read. My stepmother gave me the book. I was seven or eight years old at the time. She was preoccupied with the education of myself and my sister. This is the one book she wanted us to read and talk about. She wanted us to think about its important teachings. I remember her discussing how there is no God in the book — there's no theme of inshallah or "God Willing" in The Little Prince — and you never feel the presence of the divine. "I understand now what she was trying to teach me through the book. This is a story about human beings asking themselves how a person should be, and trying to find an answer through their own experiences and that of others. It is difficult for a child to understand the concept of responsibility. Empathy comes earlier. Responsibility is, in a way, a ramification or a consequence of empathy. It's an understanding that comes later in life." "The book could be found on the bookshelf in our living room when I was a child. My mother was a professor of French and so it occupied an upper shelf alongside Gide, Rimbaud, Camus — all the writers whom I couldn't understand as a small child. It was pulled down from the shelf early and read to me. It had a sort of aura about it because it had come from this amazing upper bookshelf to which I had no access. "The themes of the book were largely lost on me as a child. I think it was lost on my children as well when I came to read it to them, partly because concepts of responsibility and fraternity — and also potshots at the adult world — don't have a lot of meaning when you are young. 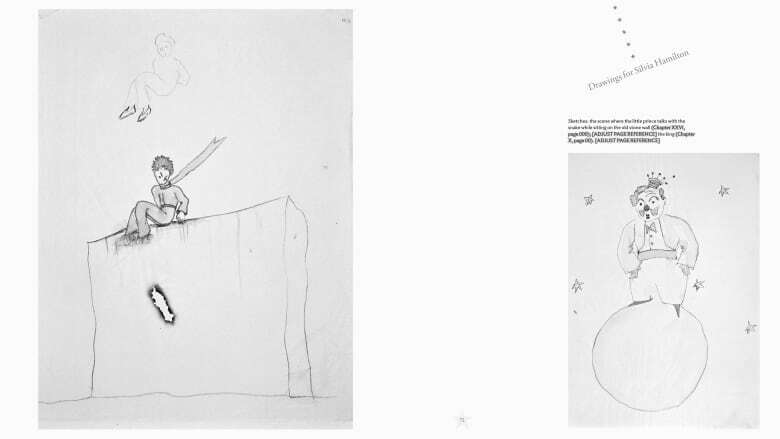 I fell in love with the humour and the illustrations. The characters stayed with me for many, many years. It's a tender and charming book, as its author was a very charming man." "Growing up in Vermont, I encountered the book in French class starting in first grade. But it didn't make an impression on me then. I didn't read it in its entirety until it was given to me by my girlfriend in college. It was actually kind of a pivotal moment: we met at Pratt Institute in Brooklyn and I had applied to CalArts for animation, which was across the country in California. "When I got accepted, we didn't want to split up. So she gave me her copy of The Little Prince. She told me the book was meaningful to her and she wanted me to have it. She would quote from the book in her letters to me and told me, 'anything essential is invisible to the eye'... even if we're not together, we would still be together. "So the book became a powerful force in my life. It was a time when I was trying to find myself as an artist and was also struggling to figure out how to be a grownup and move on to the next phase of my life. The book became incredibly significant and it became a bond between us. It's kind of crazy to look back on — having made the book into a movie — because we're now married with two children." The panelists' comments have been edited for length and clarity.